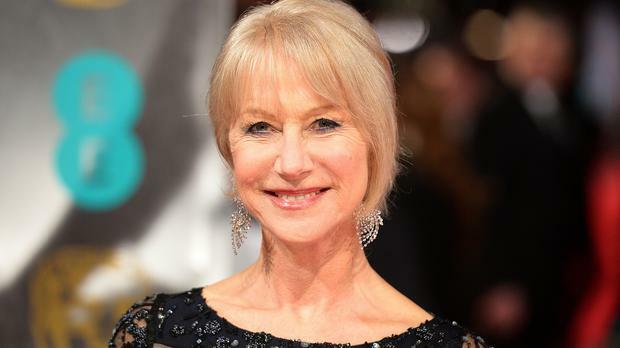 Oscar winners Dame Helen Mirren and Sir Ben Kingsley are among the British stars who have lent their voices for a new film documentary, Unity. The movie, which will be shown in cinemas worldwide on August 12, features the voices of 100 celebrities from the worlds of stage and screen as narrators, including Jennifer Aniston, Susan Sarandon, Kevin Spacey, Jeff Goldblum and Jessica Chastain, alongside other British actors such as Tom Hiddleston, Michael Gambon, Ben Whishaw, Mark Strong and Game Of Thrones actress Lena Headey. Breaking Bad star Aaron Paul, Joaquin Phoenix, Casey Affleck, Marion Cotillard, Zoe Saldana, Geoffrey Rush and Dr Dre also feature in the project. Unity, written, directed and edited by Shaun Monson, explores why humans cannot find peace with one another, set against a montage of footage from the 20th and 21st century. Mirren said: "I had a wonderful experience working as one of the narrators on the documentary film Unity. It was interesting to be involved in this film with an important message, and I encourage you to see it in theatres on August 12." Film-maker Monson explained why he wanted to have 100 celebrity narrators, saying: "It needed to have a narrator and I didn't want to have one because it's called Unity. I felt multiple voices would be good, although I didn't think we would do 100. "My original goal was 25 - no one had ever done 25 narrators before. With five chapters, I thought we would get a few per chapter, and it would be easier for them and easier for us to mix it up ... 100 was never a goal, but multiple narrators was - multiple voices speaking to you, different ages and different ethnicities. That was very important."